OK so we've covered the letters A to M.
Search engine results which are not sponsored or paid for. The nofollow tag is a way website owners can tell search engines not to count some of their links to other pages as 'votes' in favour of that content. This can help to inform search engines that you're not involved in any schemes deemed as unacceptable SEO practices, such as link farms. A form of 'Link condom'. Noindex code does exactly what it suggests - it tells search engines NOT to index the page, so that it cannot be found in searches. Noindex is used by website developers on any page that they don’t want users to find otherwise. For example, a link from an email giving recipients a special offer. One-way inbound links to your website that originate from other sites. Search engines give more value to these one-way links as they are less likely to be the result of collusion between websites. 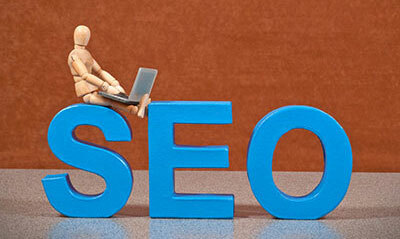 Organic links are published to add value for users of your website, and are therefore good SEO practise. They are more likely to appear in a context relevant to the subject of the website. A value between 0 and 1 assigned by the Google algorithm, which quantifies link popularity and trust (among other factors). PageRank is a way of measuring the importance of website pages. It works by counting the number and quality of links to a page to determine a rough estimate of how important the website is. The underlying assumption is that more important websites are likely to receive more links from other sites. A web service which offers a wide range of features to encourage users to make the portal their 'home page' on the internet, for example Google, MSN, BBC. Similar to Pay Per Click (see below) except advertisers only pay when click-throughs result in conversions. An advertising method where the advertisers only pay when a user clicks on their ad. Google Adwords is the most widely-used brand of PPC advertising. A way of changing the address of a landing page, for example when a website is moved to a new domain. Widely used in business; in an online context software such as Google Analytics is used to measure ROI and therefore the cost vs benefit of different online marketing methods. A programme which searches web pages for relevant matches of keywords/phrases, and returns a list of the most relevant matches. The most widely-used is Google, followed by Bing and Yahoo. Researching, submitting and positioning a website within search engines to achieve maximum exposure. SEM includes things such as SEO, paid listings and other search-engine related services to increase traffic to your website. So here it is! SEO is the process of increasing the number of visitors to a website by achieving a high rank in the search results of a search engine. The higher the search rankings, the greater the chance that users will visit the site. Most people won't look past the first few pages of search results, therefore a high rank in SERPs is essential for obtaining traffic. A page or group of pages which link to every page on a website. The site map can help users to navigate their way around a website, particularly a large and complex one. In terms of SEO, a site map helps spiders to find and then index all of the pages. Another Black Hat SEO technique. It's the practice of changing or creating web pages to increase the chance of them being placed close to the beginning of search engine results, or to influence the category to which the page is assigned in a dishonest manner. Many search engines check for instances of spamdexing and will remove suspect pages from their indexes. Often animated graphics pages without much text. Splash pages are intended to look appealing to humans. However search engine spiders only navigate through text and may therefore ignore splash pages. So in terms of SEO, they're best avoided. Web pages that consist only of HTML and images. Static pages are good for SEO in that they are friendly to search engine spiders. Content published on a website which has the purpose of getting a user to return to that particular website or hold their attention and get them to spend longer periods of time there. Examples of 'sticky' websites are forums, news sites and blogs. Pages with very low PageRank, which are still relevant to a search query, often appear in the search engine results page with a label of 'Supplemental Result'. The amount of time that a user spends on one page before leaving. It's therefore an indication of quality and relevance. Uniform Resource Locator - or your web address. Any form of website content such as text, video, blogs, images, audio files etc., created by people and publicly available to others. Social media sites, wikis, and blogs rely heavily on UGC. These techniques conform to best practice guidelines and do not attempt to unscrupulously manipulate SERPs. So that's it for now. There's a lot more to SEO than first meets the eye, and we're sure there's even more that could be added to this list. If you're now more confused than ever, or are interested in hearing more about how we can help with your website's SEO, get in touch. Don't know your Algorithm from your Index? Don't worry, you're not alone. Search Engine Optimisation, or SEO, is basically a way of helping your website to appear as near to the top of search rankings as possible. It can be a bewildering area for the beginner. There are numerous concepts to get your head round, and that's before you start trying to understand all the associated jargon. Perhaps you're taking the first steps in improving your own website's SEO, or are considering getting an expert to help you. A programme used by search engines (like Google or Yahoo) to determine what web pages to suggest for a given search query. A description of a graphic element or picture on a website. Not usually visible to the end user, but used by search engines. A programme which assists in gathering and analysing data about website usage. Google Analytics is a popular free analytics programme (but you might need some help from your web developer to get started). The blue, underlined text of a link on a search results page. It's the clickable link that takes you to the web page. Good SEO practice is to ensure that your anchor text is relevant to the content of the page. The amount of trust that a website is credited with for a particular search term. Authority comes from related links coming in from other trusted sites. The BBC, for example, is an 'authority site' partly due to the huge number of web links it contains from other trusted websites. Any link into a page or website from any other page or website. Techniques that do not abide by best practises like Google Webmaster Guidelines. Black Hat techniques are frowned upon by Google. If discovered your website could be blacklisted and won't appear on any search results - so make sure you don't use them! A programme used by search engines to look around the web, find web pages, and add them to their search indexes. The number of users, expressed as a percentage, who enter a website and then leave it without visiting any other pages. Website navigation in a horizontal bar above the main content. It helps the user to understand where they are on the website, and navigate back to the main menu or sub-menus. 'Fake' clicks on a Pay Per Click advert, for the purpose of gaining revenue for the publisher. When a website delivers different content to the search engine spider than that seen by the user. The aim of cloaking is to deceive search engines so they display the page when it would not otherwise be displayed. It's a Black Hat SEO technique that should be avoided. Submitting a text-only version of a web page in order to gain high rankings for that page. Once the desired positions within the search engines are achieved, the text page is swapped for a page of content and images designed for human viewers. Another Black Hat SEO technique to be avoided - and the spiders will eventually return and catch up with you. Posting blog comments for the sole purpose of generating a link to your site. Many blogs use a 'link condom' to prevent this (we're not making this up!). The text or copy in a website. Advertising, branding and navigation are not usually considered to be content. Programmes like WordPress, which allow non-technical users to easily update their own website without the need for a web developer. See some of ours here. Advertising which is related to the content of the website. The achievement of a measurable goal on a website, for example a sale, newsletter sign-up or software download. The percentage of users who convert (see above). This can be difficult to measure offline, for example a purchase at a bricks and mortar shop following a website visit. The rate that an online advertiser pays for every click through from their advert. Metric used by Google AdWords to quantify the average cost of PPC (Pay Per Click) adverts – M meaning one thousand. A website devoted to directory pages, for example the Yahoo directory. A page of links to other web pages. A web page that is designed to attract traffic from a search engine and then redirect it to another page. 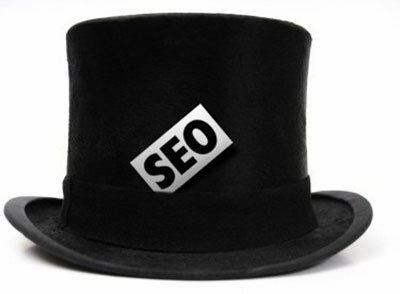 Doorway pages that redirect visitors without their knowledge are another form of Black Hat SEO. Frequently updated content which is delivered to users. Content distributors syndicate a web feed, thereby allowing users to subscribe to it. A web page where two or more documents appear on the same screen, each within its own frame. Good web designers avoid using frames; they are bad for SEO because they can confuse spiders. Frames are often disliked by human users too, as they can be difficult to read. Stands for Hyper Text Markup Language. HTML is the main language for creating web pages, and is therefore the 'mother tongue' of search engines. The content of your website's HTML code will bring benefits for your website’s usability and SEO. One user's view of a web page on one occasion. Also known as Page View. One or more words typed into a search engine by a user describing what they are looking for. For example, “Book shop Leamington Spa” or “Cheap villa holidays.” Keywords are an important part of SEO, but should be used along with a number of other SEO practices for optimum search ranking. The excessive use of the same keyword on too many pages within the same website. So multiple pages specifically target the same content, to the point where the search engine struggles to determine which page is most relevant for the search query. The percentage of particular keywords on a web page. If this percentage is unnaturally high, this is known as 'keyword stuffing' and your web page may be penalised. You should aim to make your content readable to a human, not full of contrived sentences. Determining which keywords are appropriate for your business to target. (See Keyword density above). The act of filling your web content with keywords to the detriment of clear and appealing copy. The website page that a user arrives at when they click on a link to your website. An element on a web page that can be clicked to go to another page. A web page designed to attract incoming links, often via social media. Actively cultivating incoming links to a website. A reciprocal linking scheme. Link exchanges can allow links to poor quality websites, such as directories. Large link exchange schemes or networks can be detected algorithmically, so you'll end up being penalised by Google sooner or later. Good quality directories are usually edited by humans for quality assurance. A group of websites which all link to each other. Link farms are only intended for spiders and have little value to human users. Therefore link farms are often counted as Black Hat SEO, and are ignored or penalised by search engines. The measure of the value of a website based on the number – but more importantly the quality – of websites that link to it. Similar to Comment spam (see above). Unwanted links posted on your website, for example in your blog's comments section. A search term that a user types into a search engine, containing three or more words. For example “Cheap villa holidays in Greece with swimming pool” rather than “Villa holidays.” If you use long tail search keywords in your SEO, the traffic your website receives will be better quality. Statements within the HEAD section of an HTML page which provide information about the page. Meta information may be shown in the search engine results page but is not visible on the web page. It's vital to have unique and accurate meta title and description tags, because they are likely to be the information that the search engines use to determine what the page is about. Also, they are the first impression that users get about your website on the results page. OK so that's A to M dealt with. Keep your eyes peeled for our next blog post, which will cover the letters N to Z.